The origin of Alexanderwohl Church families can be traced back to the Netherlands in the 16th Century. During the 1600-1650, many of these families migrated to West Prussia, settling in the Danzig area between the Vistula and Nogat Rivers. The Przechowko church in West Prussia, which is the mother church of Alexanderwohl, was composed of Mennonites who settled near Schwetz on the Vistula River. 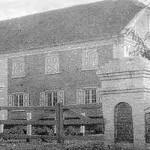 In 1820-21 a large portion of the Przechowko Church migrated to the Molotschna area in South Russia. 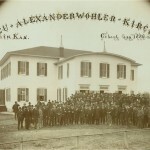 During this journey they met Czar Alexander I, who wished them well (“wohl” in German), prompting the naming of the new village, Alexanderwohl, established in South Russia. 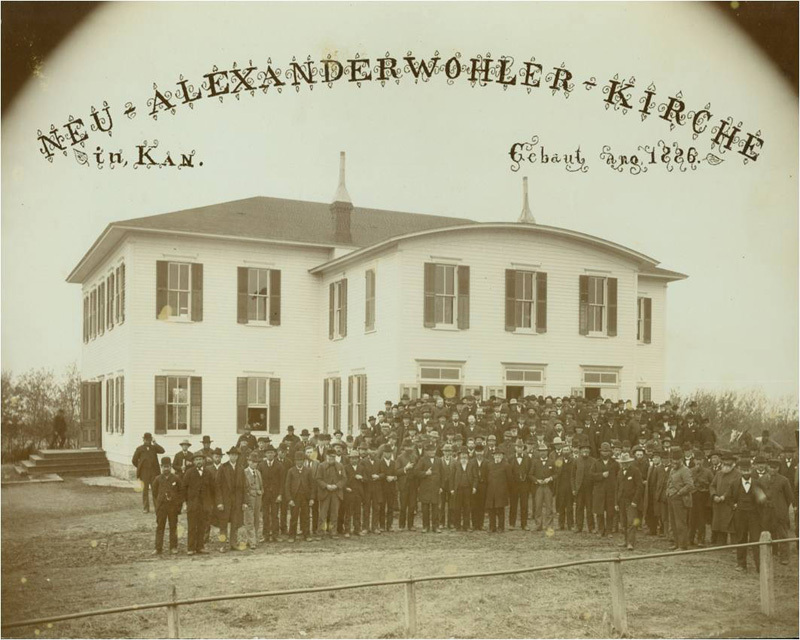 In 1874, Elder Jacob Buller led the entire Alexanderwohl church membership plus other families (about 800 persons) as they embarked on two ships, the Cimbria and Teutonia, to leave Russia. A large portion of the group settled near what is now Goessel, Kansas. 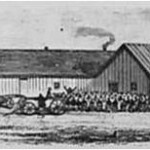 The Santa Fe Railroad, which sold land to the Mennonites, built two immigrant houses near the middle of the section on which the church now stands. 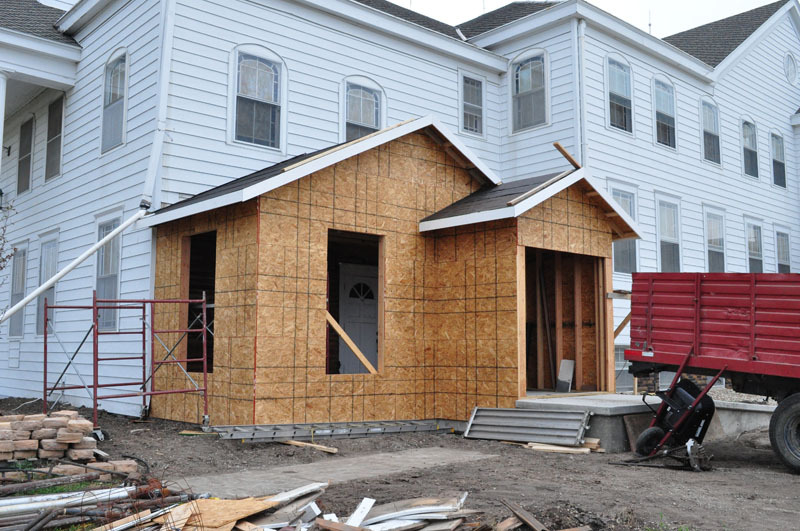 After families moved to newly built homes of their own, the immigrant houses were moved together to form a place of worship. 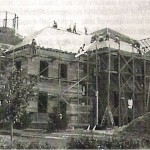 In 1886, a new church was completed on the present site. 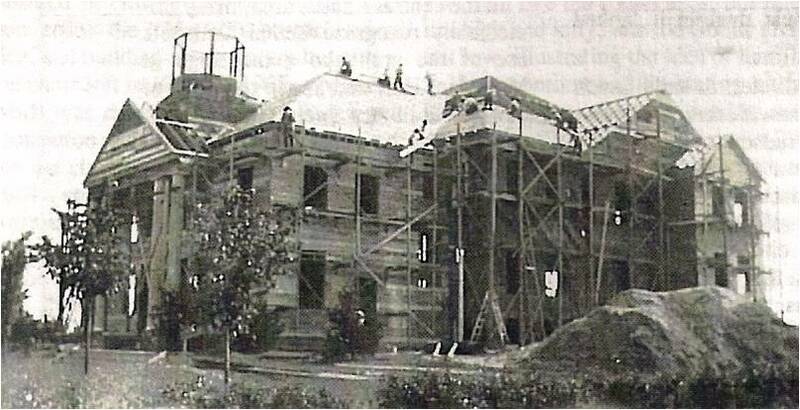 The church building, originally built in the “Dutch Mennonite” style, underwent a major remodeling project in 1928. The education wing was added in 1961, and the north addition in 1983. 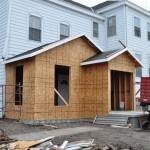 The building underwent another remodeling, this time to the office and basement, in 2011. Today, Alexanderwohl has approximately 500 members and is affiliated with Mennonite Church USA & Western District Conference.